A three-day training event, the DC Post | Production Conference is designed for professionals in TV, video, film, motion graphics and new media who wish to maximize their creativity and efficiency and improve their technical skills. Sessions are geared toward intermediate to advanced professionals and are presented theater-style with ample time for Q&A. The conference runs three full days in four parallel tracks. 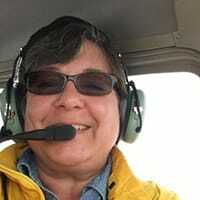 Luisa Winters is an internationally celebrated pilot, instructor, presenter, and musician. An accomplished videographer, editor, 3D animator and graphics designer, she has created and edited scores of broadcast video and web projects for corporate, government, and educational, commercial and private clients. Luisa is a private pilot, and can often be seeing flying her club's airplane out of Freeway Airport (W00), near Washington D.C. An Adobe Master Instructor, Luisa has been an educator for over 30 years teaching Adobe, Apple and production classes for clients in government, military and private organizations. 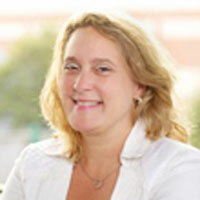 Luisa specializes in training and consulting for our brave men and women of the military. Having trained hundreds of students from Combat Camera, DMA, Air National Guard, Marines and others, makes Luisa the ideal instructor who understands the needs of the students. "Flying and teaching became natural to me; if we can teach people how to fly, they will continue life believing there's nothing they cannot do." Douglas Spotted Eagle is a giant in the video and audio industries, having received Grammy, Emmy, DuPont, Peabody, and many other awards. Douglas is a primary instructor and industry consultant for Sundance Media Group and VASST, authoring several books and DVDs and serving as an advisor and guide for videographers, software manufacturers and broadcasters. Douglas is a well-known musician and a world-travelled speaker/instructor. Douglas now focuses his energy and experience within the UAV/sUAS industry. Skydiving since 2006 and instructing UAS since 2012, Douglas is an accomplished aerial photographer who thrives in the adrenaline-filled world of fast-action videography. Appointed as a Safety and Training Advisor in the aviation world, he is a risk management/mitigation subject matter expert. Douglas is an audio and imaging pro with numerous awards for his productions; with an intimate knowledge of the FAA FARs and FSIMs, Douglas' vision is to incorporate his years of imaging and aviation experience into best-practices for everything drone/UAV/UAS. Douglas is a frequent (and dynamic!) 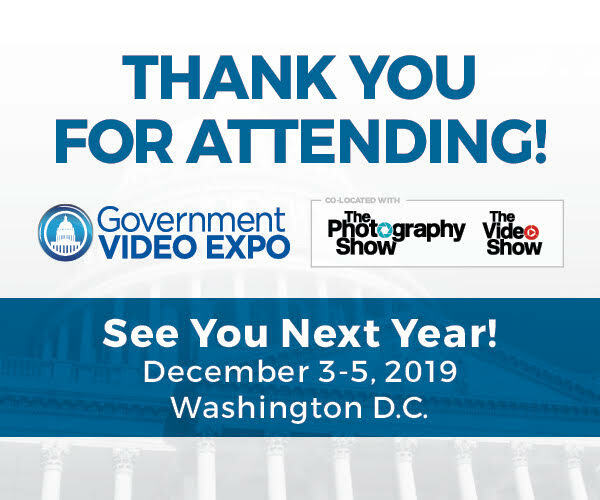 speaker and consults on UAV cinematography, public safety implementation of UAS, commercial and infrastructural UAV applications, UAV risk management, night UAS flight, aerial security systems, and 107 training to ensure pilots clearly understand the FAA laws. Audiences always remember Amy DeLouise, who brings a dynamic and interactive approach to workshops and speaking engagements across the country in digital content production, brand strategy, cause marketing, and social media channels. An experienced director/producer, Amy has won more than 40 top national awards for creative excellence in video and multimedia production including the CINE Golden Eagle, New York Festivals and Telly Awards. She speaks regularly at major national and international conferences such as the National Association of Broadcasters (NAB), the National Association of Independent Schools, Digital Media Expo, DRI (“The Voice of the Defense Bar”), Women in Film International and many more. 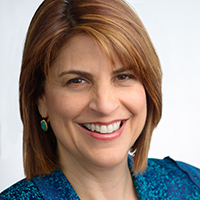 Her media production and consulting clients include: ChiefExecutive.net, Federal Express, Children’s National Health System, Jewish Federations of North America, USDA, and the Wolf Trap Foundation for the Performing Arts, among others. Known for her leadership in both entrepreneurship and media, Amy received the prized Woman of Vision Leadership award from Women in Film & Video and was named a Washington Area Woman-Owned Small Business Leader by the Women’s Business Enterprise National Council. She has served on the Women’s Advisory Board for The Washington Group/Mass Mutual and is a Trustee Emerita of the all-girls Holton-Arms School. An avid musician, Amy performs as the co-principal violinist of the NIH Philharmonia and sings throughout the Washington, DC region with the acappella octet Venus d Minor. 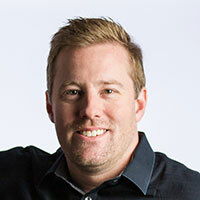 A certified instructor for Adobe and Apple, Rich is a practiced expert in motion graphic design and digital video. Starting his career out in the world of broadcast journalism, Rich has always had great interest in visual communications. His producing skills were also recognized by AV Video Multimedia Producer Magazine who named him as one of the Top Producers of 2004. Rich is a member of the National Association of Photoshop Professionals Instructor Dream Team, and a popular speaker on the digital video circuit. 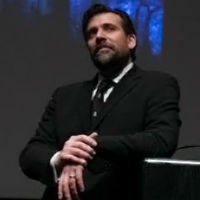 He has been the Program Manager for the Post|Production World Conference since 2003. Rich is an internationally published author. His book, Photoshop for Video, was the first of its kind to focus on Photoshop's application in the world of video. He is also a contributing author for From Still to Motion, Video Made on a Mac, Final Cut Pro On the Spot and Professional Web Video. A Master's Degree in Project Management fills out Rich's broad spectrum of experience. Rich enjoys traveling and digital photography, as well as teaching his kids the joys of science fiction and comic books. 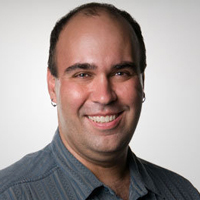 Abba Shapiro is an Adobe master trainer, certifying university and training center instructors to teach Adobe Premiere Pro. He is also a master trainer in several non-Adobe video production tools and has helped migrate editors to the Adobe platform. Abba is the author of Adobe Premiere Pro Essential Training on Lynda.com. Abba is an award-winning writer/producer/director with 30 years of experience in video and film production. He has done work for a wide range of commercial, corporate and federal clients, including: USA Today, NASCAR, The Associated Press, NASA, Univision and CNN. In addition to production, Abba teaches video editing on a variety of platforms, DSLR production and post, scriptwriting, Photoshop for video, and production workshops around the globe at venues such as: NAB, IBC, InterBee, Photoshop World, and Macworld. 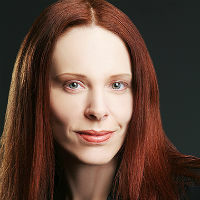 Kelley Slagle began directing, producing and editing independent films with her company, Cavegirl Productions, in 2004. In addition to producing 13 short films, she co-produced THE BROKEN CONTINENT, a fantasy web series, and directed the dramedy feature film OF DICE AND MEN. She is currently in production on the documentary EYE OF THE BEHOLDER: THE ART OF DUNGEONS & DRAGONS. 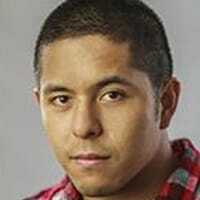 Kelley was also a producer and editor with the Washington, D.C., visual communications company RHED Pixel. Prior to joining RHED, she was as an assistant editor at National Geographic and spent 12 years with National Public Radio in software development. Kelley is also a SAG-AFTRA actor. For more information on Kelley and Cavegirl Productions, visit cavegirl.com. SETH C. POLANSKY, a contracts, intellectual property, and start-up specialist, founded the professional firm Seth Polansky LLC in 2005. Through both this firm and his corporate experience, he has enjoyed a diverse and rewarding practice. In addition to working with private corporations, government and state agencies, he has counseled small businesses and artists in securing copyright, trademark and other intellectual property protection, and aided them in navigating contracts. He has also served as an Adjunct Professor of Contract and Procurement Law at the University of Maryland University College. In his spare time, Seth is programmer and bass player for his band blindtillnow, and works as a producer, composer, sound designer or location mixer/sound recordist on independent films. For more information on Seth, visit sethpolanskylaw.com. Francis Torres is an avid 360° VR photographer, drone pilot and videographer with more than five years of video editing experience. He is an FAA Part 107-certified drone pilot and a Google Trusted photographer. His work has been featured on TV shows such as WATERFRONT HOUSE HUNTING and OUTDOORS MARYLAND. He has worked with clients such as the Baltimore Ravens and Under Armour. He is currently a full-time video editor at RHED Pixel and runs a one-man production company called FT Visuals that specializes in 360° VR photography, aerial video/photography and video production. John Dudley is founder of Dudley Digital Works and president of DC Webcasting. With more than 15 years of marketing, communications and multimedia production experience, John has helped bridge the divide between strategy, content, creative and technology for some of the world's leading brands and causes. His live streaming client portfolio spans over a decade and includes Pfizer, Abbott, the European Union Delegation to the United States, and the ALS Association. Prior to founding Dudley Digital Works in 2004, John served with Washington, D.C., healthcare agency Spectrum Science Communications, managing and executing brand and public policy campaigns for global biopharma industry and association clients. A graduate of the College of Saint Rose, John began his career in 2000 as a producer and technical director for New York State Senate Media Services in Albany, NY. Rachel Longman is the Senior Producer at RHED Pixel in Falls Church, Virginia, specializing in multimedia video production. Rachel has produced a wide range of content, including National Television commercials, Public Service Announcements, Educational Training, multi-camera field and studio productions. There's no one who knows real world workflow like Rachel! 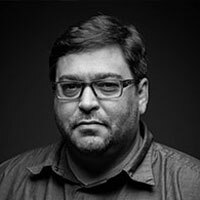 Jeff I. Greenberg has nearly two decades of experience as a Post-Production consultant and Master Instructor (trainer for other trainers) for Adobe, Apple, and Avid, specializing in the areas of editorial, workflow, compositing, sound, color grading and compression. 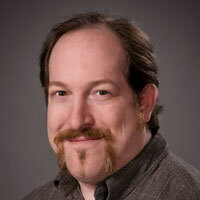 Jeff is the owner of J Greenberg Consulting and for a decade was the Principal Instructor for Future Media Concepts. Consistently voted as one of the top seminar speakers/interviewers, audience’s feedback includes depth of subjects covered, approachability and student-centered teaching that helps keep them up to date on industry standards. 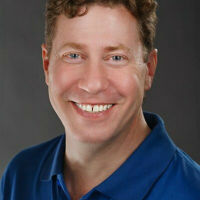 Jeff teaches seminars at events such as NAB, IBC, CES and Inter BEE. He’s the chair for the Editors Retreat, an annually held exclusive getaway for editors. Jeff is a published author of several books on the subject of editing and post-production. He recently finished a book on Adobe Premiere Pro Studio Techniques (Adobe Press). Jeff writes for various blogs and creates training materials for Lynda.com and macProVideo.com. He’s happy to talk to you about consulting and helping you find solutions for your training needs. Robbie Carman is senior colorist and owner of DC Color, a postproduction boutique located in the Washington, DC area with a focus on broadcast television and independent film finishing. Robbie has 18 years of experience grading, including hundreds of programs for broadcast outlets like Discovery Networks, National Geographic, PBS, MSNBC, Smithsonian Channel and others. Films Robbie has colored have screened and won awards at prestigious film festivals including Tribeca, Sundance, HotDocs, and SXSW. His work has contributed to the success of many non-profit and governmental organizations including The Pew Charitable Trusts, Conservation International, USAID, and The U.N. In addition to his creative work, Robbie is a well-known and distinguished author and educator. 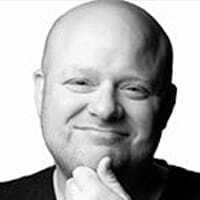 He is the co-founder of the color correction focused subscription website mixinglight.com and has authored many courses on Lynda.com. He has co-authored 8 books focused on postproduction and been a technical editor for several other popular technical books. 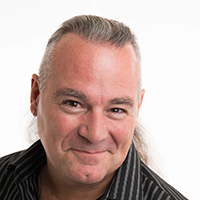 As an Adobe Master Trainer For Premiere Pro and as an Apple Certified Instructor, Robbie speaks regularly at conferences such as NAB, IBC, Interbee, CabSat, Adobe Max, The Editors Retreat, The NY Post Production Conference, and GV Expo. In 2015 Robbie, was awarded as a Max Master at the Adobe Max conference as the highest overall rated speaker. Robbie is also a full member of the Colorist Society International – a professional guild that recognizes experienced colorists. Senior mixer and founder of Ott House Audio, Cheryl has more than 20 years of audio experience. She has graced the doors of some of the most prestigious studios from New York to Washington, D.C. Cheryl has worked on projects for PBS, National Geographic, Smithsonian Channel, TV One and Discovery Channel, to name just a few. Over the past two decades, Cheryl has been making a name for herself in the audio game doing audio for film, radio and television. In 2006, she was able to forge out on her own and create Ott House Audio. Bit by the music bug at a young age, Cheryl played clarinet in the famous Auburn University Marching Band. To this day she remains a loyal Tiger. Cheryl lives in Kensington, Md., with her husband John, two girls, Madeleine and Zoe, and yellow lab Django. Kevin Bradley is a freelance multiple Emmy and Telly Award winning director of photography and former editor with 17 years of professional experience in the film and video production industry. His multiple screen credits include episodic television, music video, mini-documentary, indie film, and corporate video production. He has served as a freelance cinematographer for such clients as Lockheed Martin, Nike, Canon, Nickelodeon, Hilton, the Make-a-Wish Foundation and many other national, international corporations and nonprofits. Kevin is an expert lighting technician and camera operator with veteran experience in all facets of film and video production, from small crew documentaries to studio advertising shoots and large-scale field film production.